The Best Quotes for Friendship. Motivational Quotes, Inspirational Quotes, Friendship quotes, Association Quotes, encouraging quotes, famous quotes, best quotes, positive quotes. 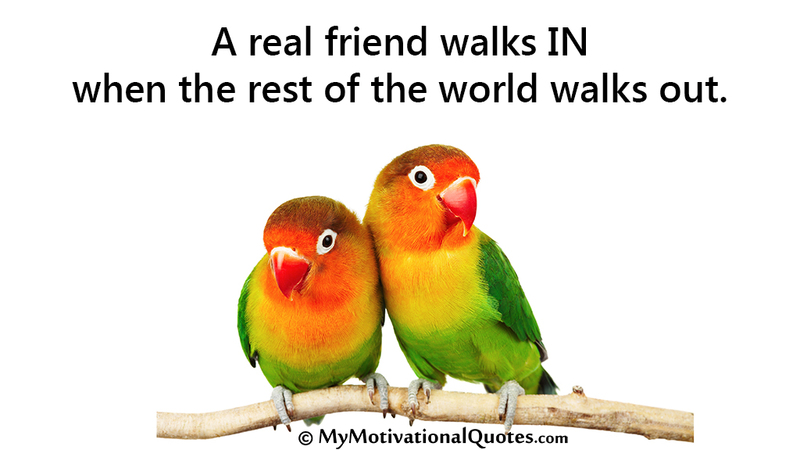 A real friend walks IN when the rest of the world walks out. Surround yourself with positive people who will support you when it rains, not just when it shines. Fish will grow based on the size of the fish tank they are in. Find people who will make you stretch and grow. ​Associate with the right people and you will become the right person.